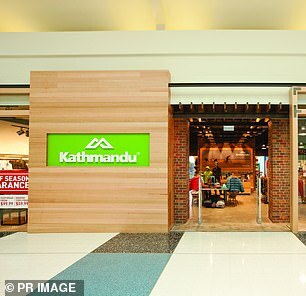 Kathmandu has reported weaker than-expected Christmas and Boxing Day trading, making a disappointing start to the new year. 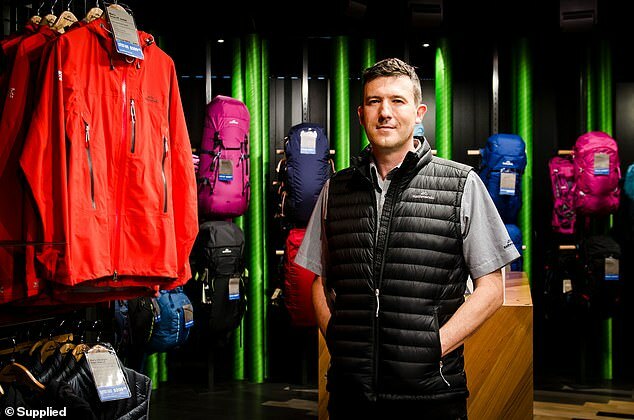 The adventure apparel chain’s chief executive Xavier Simonet said on Thursday disappointing holidays sales clouded an otherwise prosperous year. ‘Following strong same store sales growth in Q1 (the first quarter). We are disappointed in trading results in Australia and New Zealand over the Christmas and Boxing Day period,’ he said. Kathmandu enjoyed sales growth of 7.1 from the end of July up until November 11 last year, when sales suddenly dipped. Despite the strong start, the comparable sales for the period ended 0.2 per cent lower. Kathmandu dipped 10.7 per cent on the ASX in the first 30 minutes of trade. Prices fell from $2.62 to $2.34 – a sharp decline compared to trading in July that was set at $3.03. Despite the disappointing start to the new year, Jirsch Sutherland partner Andrew Spring told Daily Mail Australia Kathmandu had given ‘positive insights’ for investors. On that note, retail expert Brian Walker said Kathmandu had enjoyed a four per cent margin growth. ‘The margin report went from 60 to 64 per cent. That’s a significant step up for a business that’s heavily involved in high-low pricing. As to what Kathmandu’s sale’s forecast looked like, that was still to be determined. Though hospitality and catering would be the main driver and other sectors like apparel would come out flatter. ‘Overall, we think we had a reasonably good Christmas,’ Mr Walker said. With the holiday season pretty much over, Mr Walker said he expected the new year to be similar to 2018, with an omni-channel focus between online and brick and mortar shopping. ‘More businesses that don’t have a defined point of difference or unique product will be under pressure.